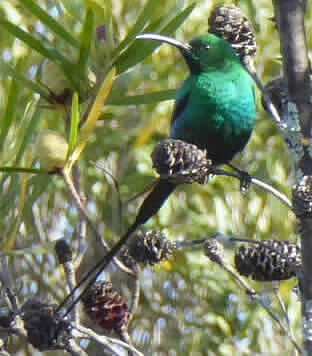 I write (says Chris, in October) having not long returned from South Africa's Southwest Cape, a Honeyguide holiday with a difference. On this occasion it wasn't in the brochure: it was a family holiday with three generation of Durdins, and Malcolm and Helen Crowder, who with me run the Honeyguide Wildlife Charitable Trust, were also there. Geoff Crane was our guide, as always in South Africa. 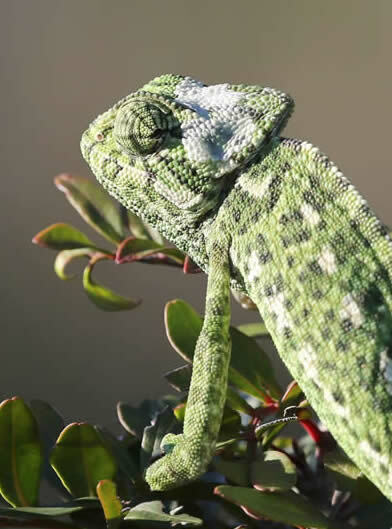 There was fine selection of birds, flowers, mammals, reptiles, amphibians and dragonflies set in wonderful scenery and perfect weather. Do have a look at the photos on Facebook and the report here. 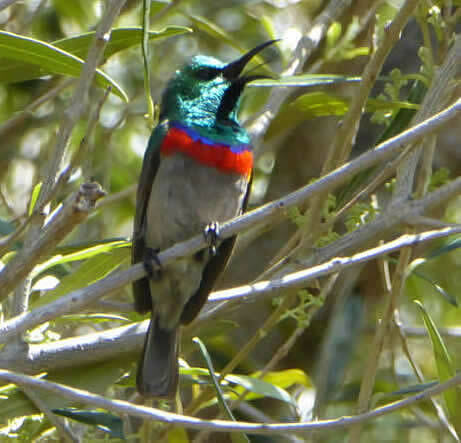 Southern double-collared sunbird, orange-breasted sunbird and malachite sunbird, all photos by Helen Crowder from South Africa's Southwest Cape. Vultures in the Rhodope Mountains will be helped by a new EU LIFE project called 'Conservation of Black and Griffon vultures in the cross-border Rhodope Mountains.' This is an area known by Honeyguiders who have been in Dadia Forest in Eastern Greece, or the Eastern Rhodopes when our Bulgaria visited several places. The project is a collaboration between Rewilding Europe, WWF and the BirdLife partners in Bulgaria and Greece, BSPB and HOS, and others. It's another reminder of the value of the EU's Natura 2000 network and LIFE programmes. More details on the Rewilding Europe website. From the Alps to the Adriatic: Honeyguiders in northeast Italy and Slovenia in September struck lucky with weather: rain before and after the holiday but warm sunshine during it. That probably encouraged the griffon vultures in the Pre-Alps onto the wing with close views as they flew past. Il Caneo Hotel proved a good base — "very Honeyguide" as one group member put it — with pygmy cormorants on the Adriatic's marshes and marsh harriers from the window at breakfast. Other birds went from great white egrets at sea level to alpine choughs in the Julian Alps plus a sprinkle of migrants including broad-billed sandpiper. Late summer and autumn flowers included four species of gentians and meadow saffron. Holiday report here. The next opportunity to see this fascinating corner of Europe with local leader Paul Tout is our Wallcreeper and woodpecker break in March, based in nearby Istria. Details of this holiday are on the website but not in the brochure. Sun in Italy/Slovenia also brought out butterflies of 29 species, some in big numbers, especially blues and clouded yellows. 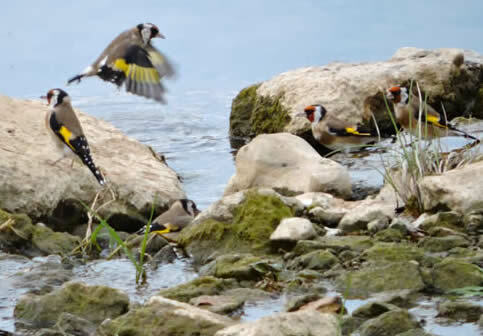 Others included great banded graylings and eastern Bath whites (right; left is a group of bathing goldfinches). Brochures are coming! 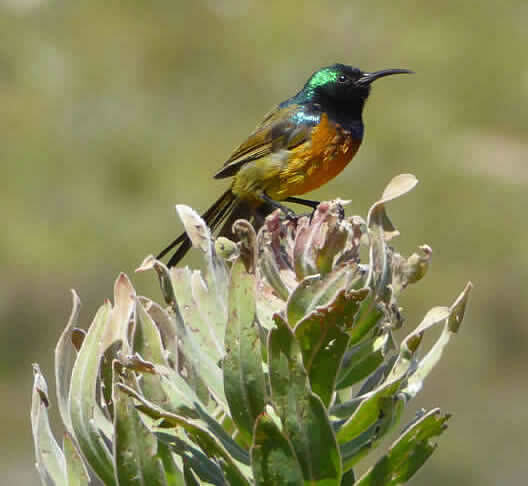 The Honeyguide Wildlife Holidays brochure for 2016 has been posted and its arrival is imminent. With brochures are a Honeyguide bookmark and a leaflet on the British Dragonfly Society (BDS). 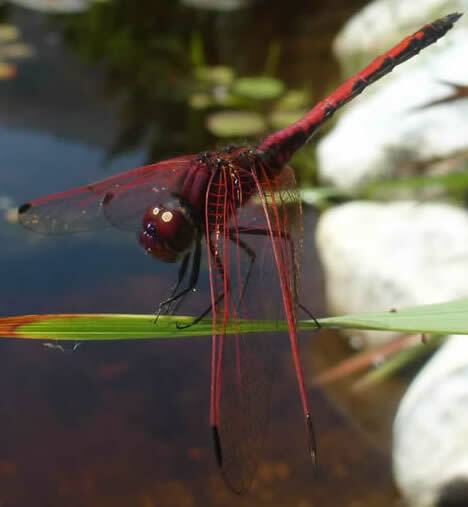 Pau Lucio, Honeyguide's leader in Valencia and La Mancha, Spain, has been collecting information for at atlas of dragonflies and damselflies of Valencia. Here are two photos of species he recently found and kindly sent through, to whet the appetite of any odonata enthusiast. White Featherleg (left) is endemic to Iberia and SW France. The Orange-winged Dropwing (right) is widespread in Africa but doesn't occur in Europe, if you look at the map in the European dragonfly book. The reality is a spread of recent records in Iberia that seems to be linked to climate change, as for many dragons and damsels moving north. Ivan Nethercoat and I (writes Chris) had a fascinating recce visit to Estonia in late June/early July, to plan a future Honeyguide holiday. I've never seen so many spotted flycatchers, and other birds included scarlet rosefinch and broods of goldeneyes and goosanders. 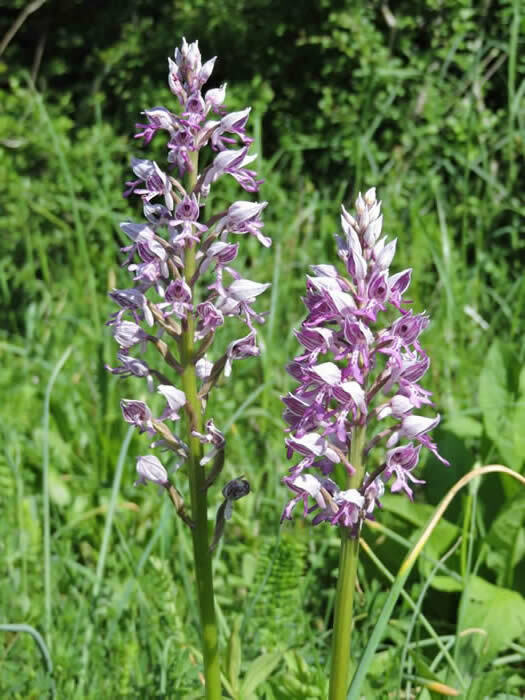 The wooded meadows, roadsides and limestone grassland were incredibly rich for flowers, and highlights included lady's slipper orchids, six species of cow-wheat and spiked speedwell. Mammals were amazing, from our hosts NaTourEst's bear hide: two brown bears, a family of wild boar and raccoon dogs. 'Erratic boulders' at Käsmu in Lahemaa National Park, Estonia. More photos from Ivan on Flickr here and mine are on Facebook. 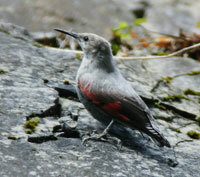 The French Pyrenees, as always, offered wonderful scenery, with a fine mix of wildlife. As for the weather, well, parts of every day were dry puts it positively! Lammergeiers were frequent from the hotel in Gèdre, with golden and short-eagles too, and snowfinches that were nesting in ski metalwork were the most showy we've experienced. 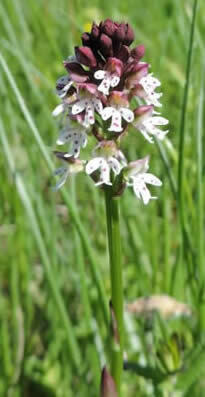 Orchids and other flowers in the meadows were in profusion, often with butterflies that were easy to see close to hand. Holiday report here. Cirque de Gavarnie, from Saugué. Ivan's photos and Chris's on Facebook here. Juvenile lammergeier tagged on Crete: conservationists have attached a wing tag and a radio tracker to a young lammergeier - or bearded vulture as they prefer to call them - in the mountains of Crete. This is to trace the movements of the bird after fledging. 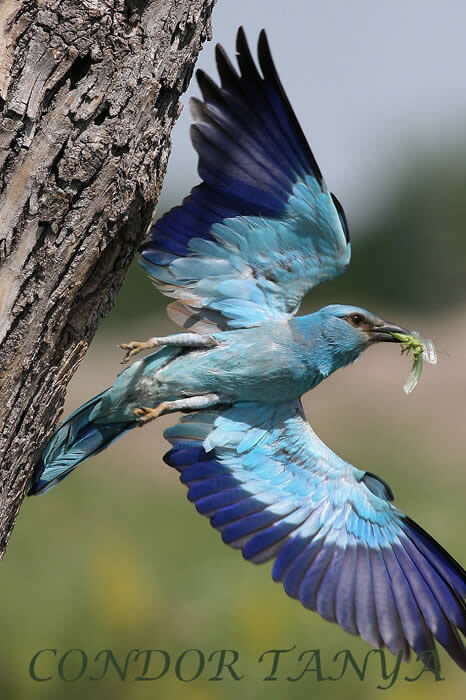 Honeyguide's Crete holiday contributed €1000 to the Hellenic Ornithological Society towards its work. Juvenile lammergeier on the nest; close-up and Dr Panagiotis Georgiakakis in climbing gear beside the bird. Information and pictures kindly sent by Dr Stavros Xirouchakis from Natural History Museum of Crete/HOS. Honeyguide conservation donations reach £100,000. Recent donations - €1000 for HOS in Crete, €350 for DOPPS in Slovenia, €1000 for LPO in the Camargue and £600 for the Latvian Owl Research Society have taken our running total of conservation contributions to £100,974. 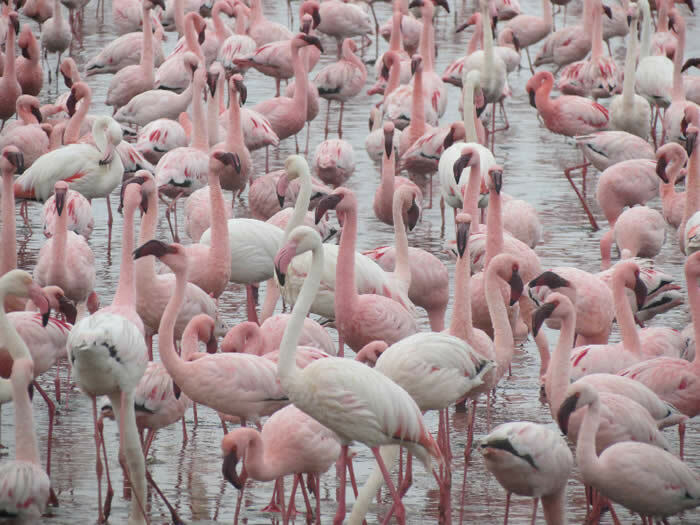 The Camargue always provides a rich mix of wildlife, starting with flamingos beside the runway as the plane landed and nightingales on arrival at the hotel. 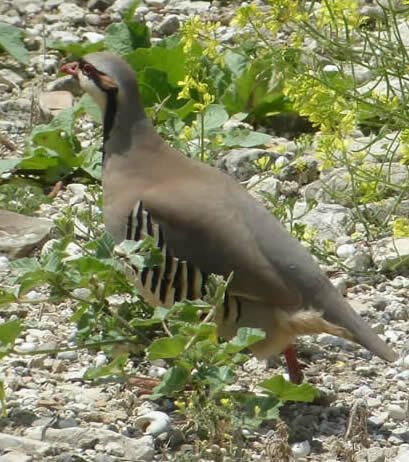 A behind-the-scenes tour with LPO of stony La Crau was a particular privilege, with little bustards, Calandra larks, red-footed falcons and a lesser kestrel colony on show. Flamingos flying backwards in the mistral wind and exceptionally showy flowers in Les Alpilles, such as carpets of Blue Aphyllanthes and three flax species, were other highlights. As you may hear on the grapevine, one group member fell in a hotel corridor and broke her femur; she's in pretty good form after being successfully 'fixed' in Arles hospital and was flown home a few days later. Holiday report here. Istria's wealth of wildlife was on show for Honeyguide's group in May with Paul Tout with red-backed shrike, scops owl, nightingale and golden oriole almost every day and fireflies just 100 metres from the hotel, as well as more than 30 butterfly species and 27 types of orchids in the wonderful, flower-filled meadows. A wildcat in front of the minibus at midday on the drive to the airport was a fine finale. Holiday report here. Images from Istria: bee-eater, burnt-tip orchid, silver-studded blue and military orchids. Right: slow-worm (photos by Paul Tout). Join Paul in Italy-Slovenia this September in From the Alps to the Adriatic. Farewell to Derek: more than 100 people gathered at Suffolk Wildlife Trust's Redgrave & Lopham Fen nature reserve on 9 May to pay tribute to Derek Moore, former SWT Director (among other things, including Honeyguide leader in Languedoc). Crete's winter was cold and wet but it was warm and dry for the Honeyguide group in April 2015. Good weather meant that migrant birds were distinctly low in numbers, but nonetheless included red-throated pipit, close views of little crakes and daily alpine swifts. 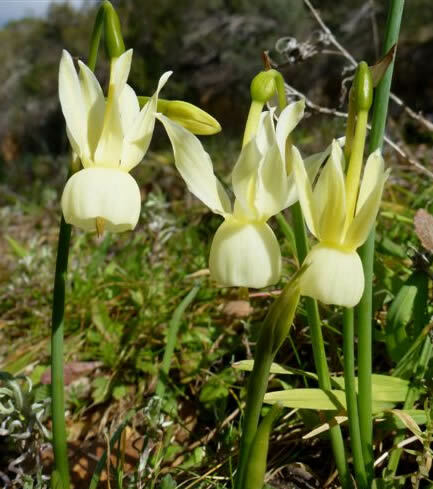 The winter's rain helped the flowers: from hillsides of yellow Jerusalem sage to stinky dragon arums, a fine selection of orchids and breathtaking fields of tulips and anemones on Omalos plateau. Cretan festoon and other butterflies were in fine form. 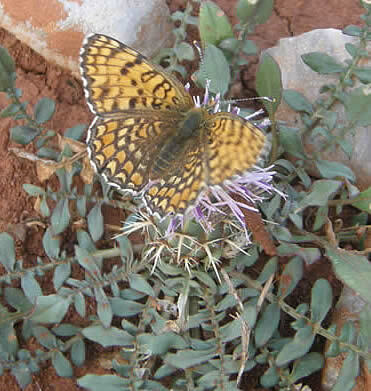 Cretan delights: Cretan festoon; pink butterfly orchid; a chukar at Festos; a crown anemones on Omalos plateau. More photos from Crete: Chris Durdin's on Facebook and Tim Strudwick's on Flickr. Holiday report here. 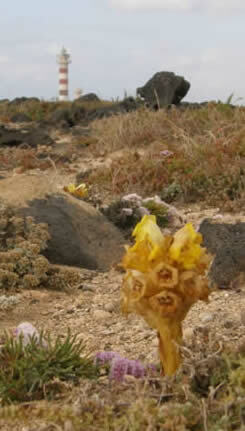 Fuerteventura was surprisingly rainy for a semi-desert island for our group in late March. 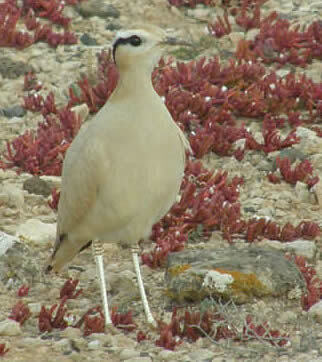 That didn't prevent very close views of cream-coloured coursers with chicks, houbara bustard and Fuerteventura chat. The nesting season was well under way for spectacled warblers and southern grey shrikes. Red-vented bulbuls and monk parakeets added an exotic twist - both are established aliens - and there were good sightings of turtle doves and Egyptian vultures, much declined in numbers elsewhere. Cream-coloured courser surrounded by the red Mesembryanthemum nodiflorum, houbara bustard, a field of Aloe vera, houbara bustard, Cistanche phelypaea & Tostón lighthouse. Photos by Helen Crowder. Holiday report here. Honeyguide's holiday in Tarifa & Gibraltar coincided with the start of good weather. 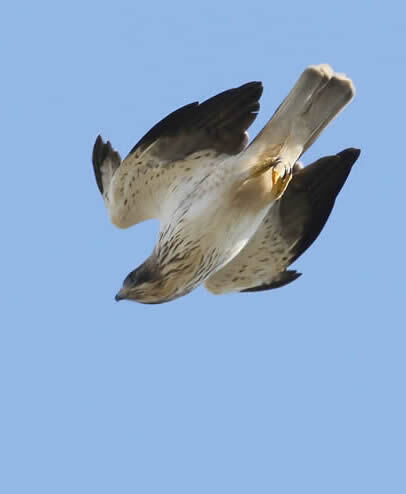 Migrant raptors were arriving across the Strait of Gibraltar, often over our base at Huerta Grande. Sunshine brought out many butterflies, including monarchs, Moroccan orange-tips and Spanish festoon. 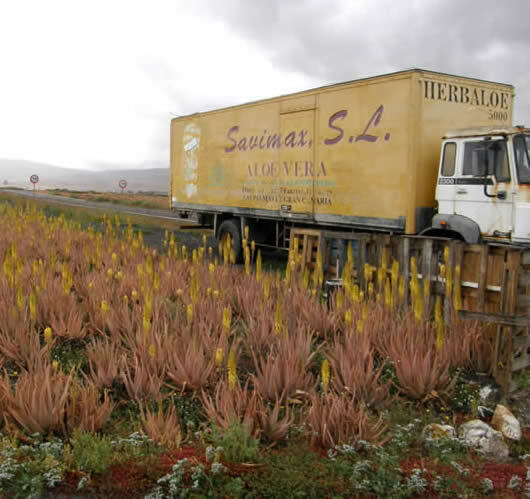 Flowers included local specialities like Lusitanian sundew and a magnificent figwort Scrophularia sambucifolia. Bonanza salt lagoons were awash with slender-billed gulls and we were privileged to see northern bald ibises on the cliff ledges where they are nesting: the reintroduction programme is going well. Slender-billed gulls, Spanish festoon, Scrophularia sambucifolia, northern bald ibis. More photos from the holiday: Facebook gallery here. Holiday report here. New for autumn 2015: From the Alps to the Adriatic in Italy and Slovenia, 16 - 23 September. 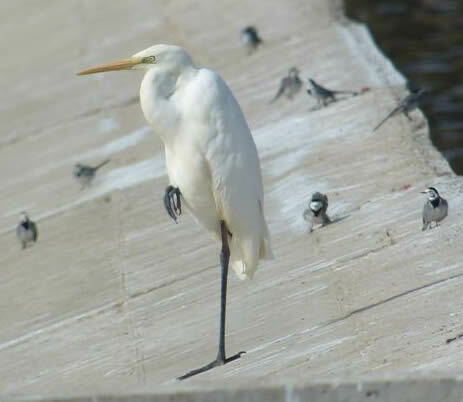 Little egrets and pygmy cormorants at Isonzo River (Angelo Butera) in NE Italy; Queen-of-Spain fritillary. 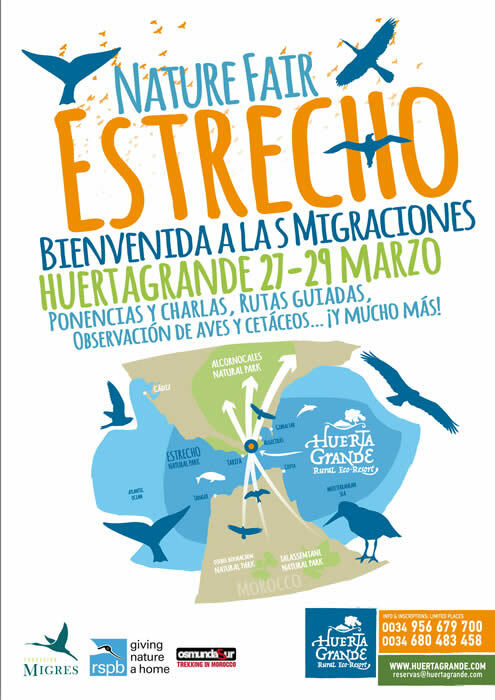 Honeyguide's first group of 2015 was in Extremadura in mid-February. Cranes were there in good numbers, one of the main draws, but also spring migrants like swallows, house martins and great spotted cuckoo. Other highlights were a Bonelli's eagle hassling a golden eagle, good views of Spanish imperial eagle and big flocks of Spanish sparrows. 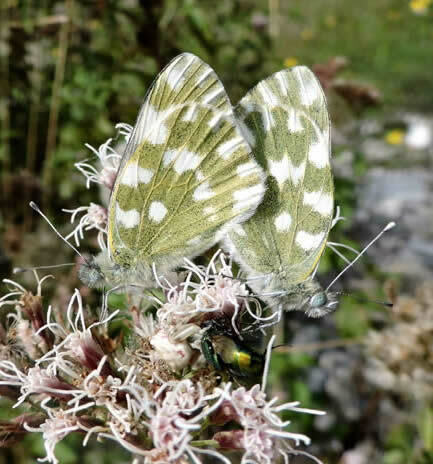 Dappled white butterflies (right) and angel's tears narcissi were other signs of spring. The itinerary included an excellent new site, a reservoir at Alcollarín. 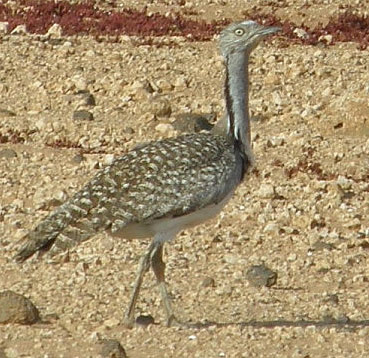 A tight flock of some 40 little bustards was notable as this bird is in decline in the region for unexplained reasons. Report here. Undulate anchusa, Spanish imperial eagle, Angel's tears narcissi, great white egret and wagtails at Alcollarín reservoir. More photos on Facebook here. 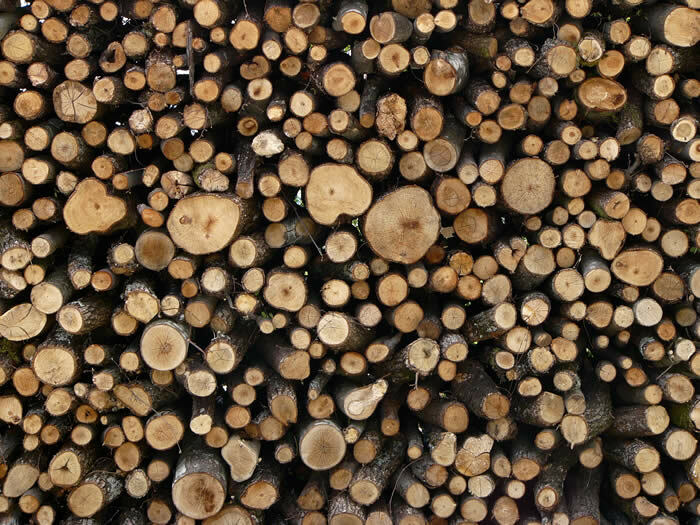 White and black gold in Istria: a reminder of Paul Tout's account of timber and truffles. A good read for travellers, historians or cooks. Click here for the full story. There are still places on our Istria holiday. This picture is of cranes flying to roost in Gallocanta, Aragón in Spain, and was taken on 24 January 2014 by Pau Lucio, Honeyguide leader in La Mancha. Pau says: "The number of cranes was between 17,000 and 18,000. Apparently there are more cranes than in previous weeks as a result of cold weather in France. Nevertheless, that is nothing compared with the 48,663 cranes than wintered last year in Gallocanta (a record); a hailstorm damaged many of the crops so there was a lot of food for them." 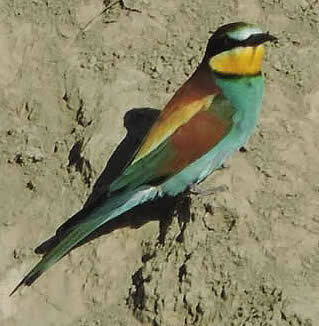 This comes shortly before a Honeyguide group goes to crane country in Extremadura. 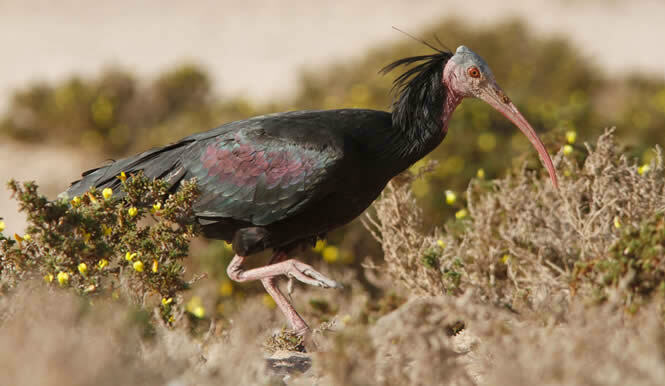 The results of the January 2015 Extremadura crane census showed a new record, with a total of 139,101 birds counted. This is all linked to the steady growth in crane numbers and their westward spread as a breeding bird, recolonising parts of their former range, including the UK. See also The Norfolk Cranes' Story. 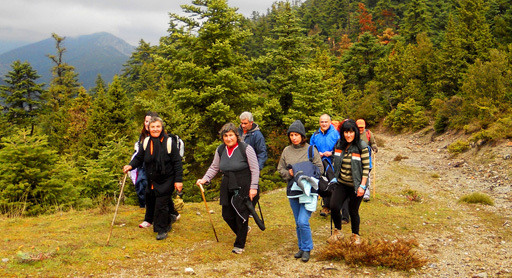 Walking in the Peloponnese: Honeyguiders in the Peloponnese will remember Sue Davy's friend Wendy Copage, who gave lots of practical help to our groups, helped by her great local knowledge and fluent Greek. Wendy has now set up her own business running walking holidays in 'our' bit of the Peloponnese, based at Tyros. Called Greece on Foot, you can contact Wendy via the website www.greeceonfoot.com. 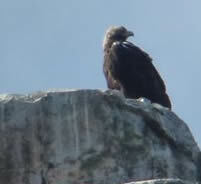 In Valencia, Pau Lucio has located one of the region's regular wintering spotted eagles. Let's hope it stays there for our visit in Feb/March (places are available!) 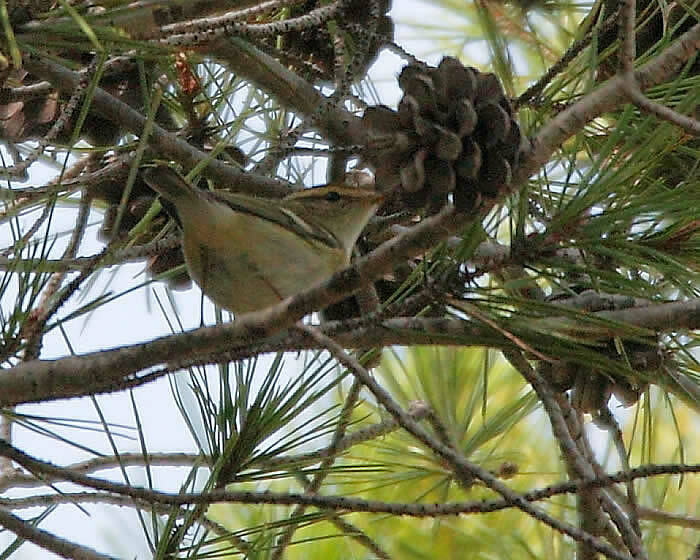 And he found one of a mini-influx of yellow-browed warblers, rather like on the UK's east coast. Northeast Portugal photos: new gallery of photos from the recce visit on Facebook. 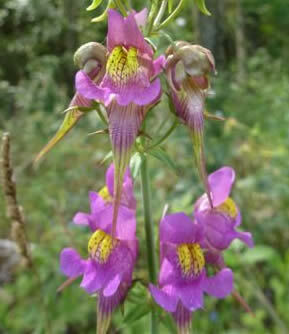 Flowers in Northeast Portugal in May/June 2015 were often challenging to identify. Here is a flower photo collection on Facebook which we hope will be a useful reference. Gallery of photos of dragonflies and damselflies of NWT Thorpe Marshes on Facebook here. Updated, 30 September 2015. New Norfolk Wildlife Trust blog here (October 2015), 'Willow Emeralds return to Thorpe Marshes'. Also NWT Trust blog here (September 2015), 'In for the count' on Norfolk hawker and orange-tip surveys. 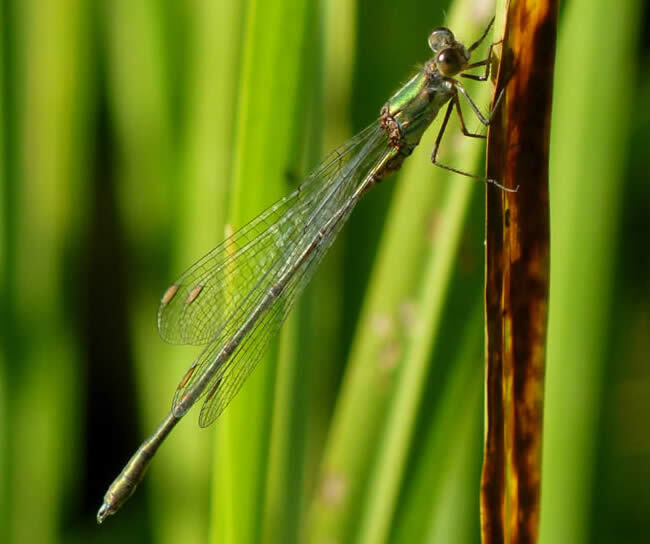 Willow Emerald Damselfly at NWT Thorpe Marshes. Our Italy/Slovenia holiday in September 2015 raised €400 for DOPPS, the BirdLife International partner in Slovenia. This adds to the €350 raised from our holiday in Istria in May. DOPPS will use the donation to buy scientific literature needed for its conservation work. 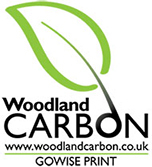 You may have seen this 'woodland carbon' logo on the brochure. Here is our certificate representing the modest contribution to the Woodland Trust’s carbon capture scheme (namely, woodland creation) from the production of the Honeyguide brochures for 2016. This is thanks to our printer, Gowise Print: the Gowise website describes their environment policy and has more information on carbon capture. 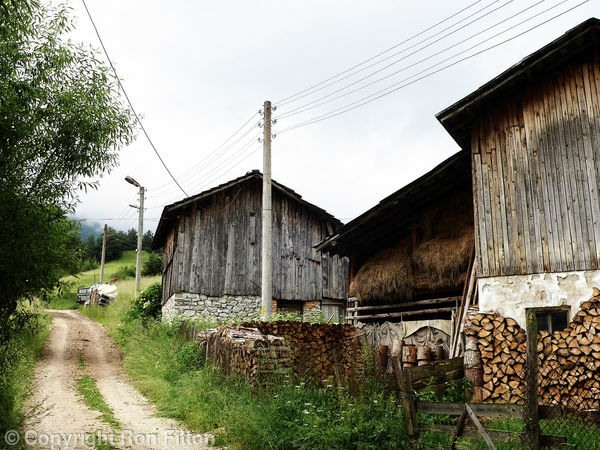 Bulgaria's Western Rhodopes: holiday report from June 2015 here. Track behind the hotel in Yagodina (Ron Fitton). More of Ron's photos from Bulgaria here. Honeyguide in Eastern Daily Press business pages, August 2015: online version of article here. 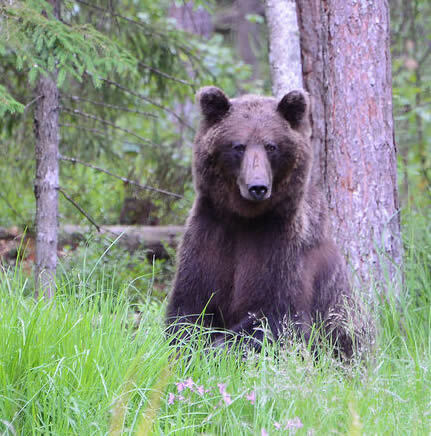 Brown bear from NaTourEst's hide in Estonia, a recce trip highlight. Report here. Linaria triornithophora - '3 birds' toadflax - from Northeast Portugal. 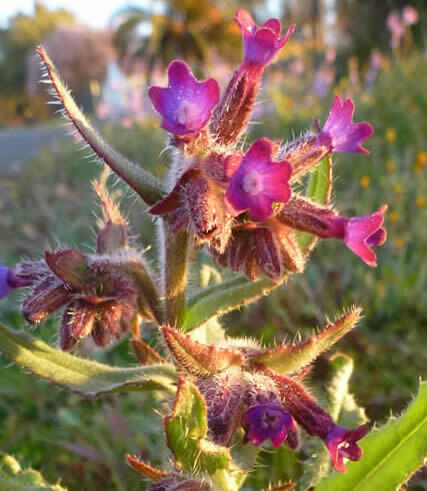 It's one of many unusual flowers and a lot of birds, butterflies and other wildlife seen by Chris Durdin and Domingos Leitão on a recce in late May/early June. More in the Northeast Portugal May-June 2015 recce report. "El Fondo [in Valencia region] has always been one of the best places in Europe to watch the threatened white-headed duck. The last census shows an increase of the population to more than 70 pairs thanks among other things to water and habitat management and the eradication of ruddy ducks. The breeding season is going well with good numbers of ducklings (photo, above). "In addition, last April there were 24 marbled teals released into the reserve, five of them with GPS transmitters. The aim is to know more about their wintering movements and the survival rate of birds from the captive breeding programme." Bee orchids are back at Big Yellow Self Storage opposite Norwich City FC. More on Norfolk Wildlife Trust blog 'The Meadow in the City' and photos on Facebook. 7 June 2015, and in the news on 12 June here. Latvia's spring arrived late this May, with plenty of red-backed shrikes, yellow wagtails and wintering seaducks, some lesser spotted eagles but very few honey buzzards. A grey-headed woodpecker nest outside the first hotel was a stroke of luck - as was the moose glimpsed by one participant. A ringing demonstration meant there were great views in the hand of barred warbler, scarlet rosefinch and hawfinch, the last - as the ringer Gaidis would testify - a beak definitely best avoided. Holiday report here. Hawfinch photo by David Bennett. 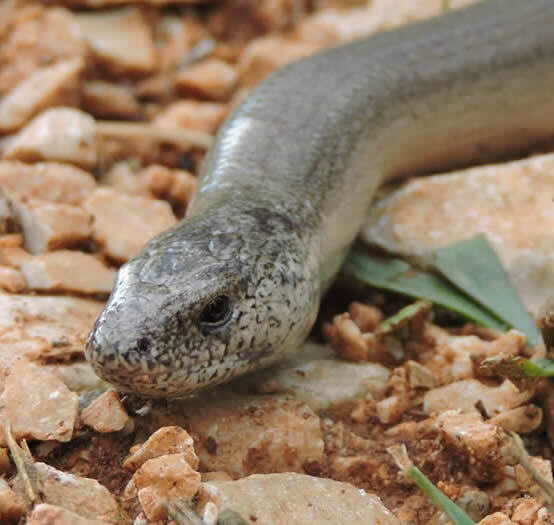 Not so slow-worm: one bit Istria leader Paul Tout! Norman Sheppard FRS 1921-2015. Popular Honeyguider was a leading chemist. More in the Guardian and from the University of East Anglia. 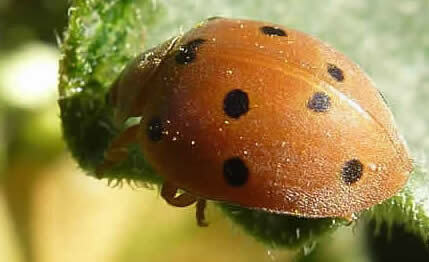 New Nature Notes web page about the Bryony ladybird. 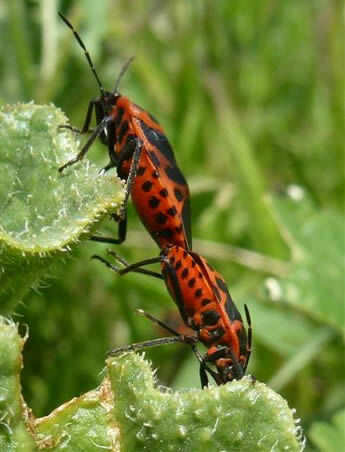 Brassica bug Eurydema ventralis, Festos, Crete, April 2014: an addition to our red and black bugs web page. 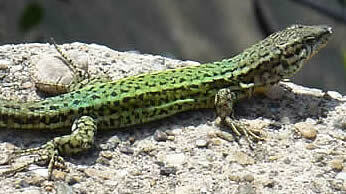 Photospot: Andalusian wall lizard, a recently recognised species. 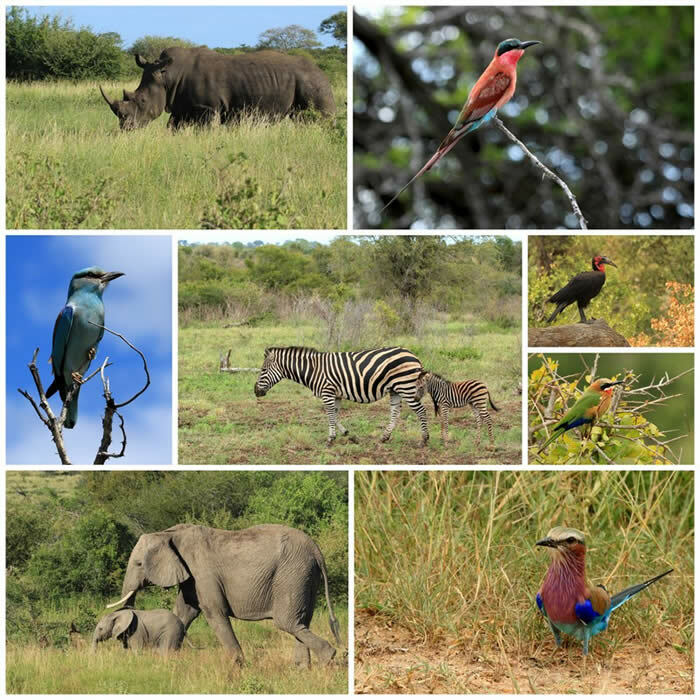 Above is a selection of wildlife seen in March 2015 by Honeyguiders in Kruger National Park, South Africa: more here. 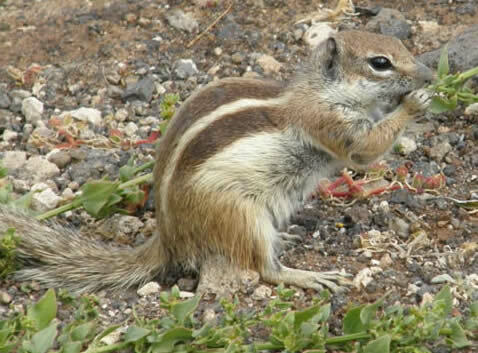 Visitors on Fuerteventura are requested not to feed inquisitive Barbary ground squirrels. A gorgeous male garganey in Tarifa & Gibraltar in dense growth of water crowfoot. While on this holiday we gave €500 / £420 to GOES. The running total for Honeyguide's conservation contributions is £98,220 — fast approaching the milestone of £100,000. Sardinian warbler, about to be released by ringing group GOES. Martin Kelsey (pictured below) with his wife Claudia have set up painting and writing holidays based at their Casa Rural in Extremadura next autumn/winter. 'Painting Landscapes of Extremadura', in watercolour, is with artist Peter Delahaye: details here. 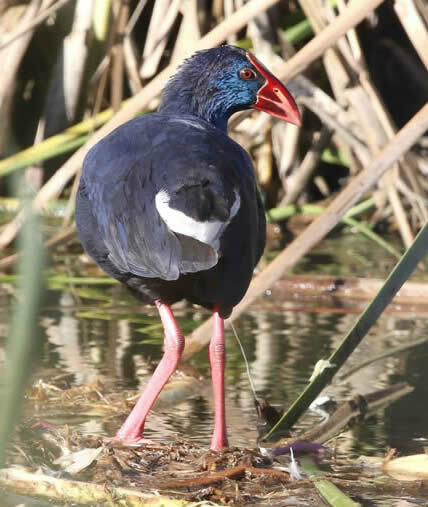 'Recreating Extremadura – A nature writing holiday in Central Spain' is with writer and naturalist Mark Cocker: details here. 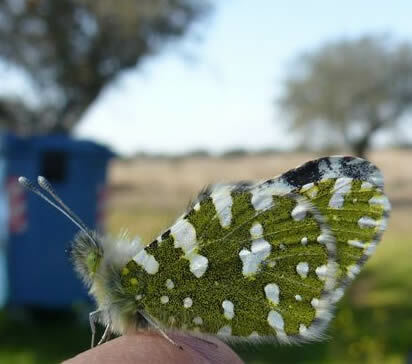 Western dappled white in Extremadura, February 2015. While in Extremadura, we gave 500 euros to SEO/BirdLife. Below: Martin Kelsey hands the Honeyguide cheque to Marcelino from SEO/Birdlife Extremadura. French Pyrenees dates confirmed as 8 - 15 June 2015. 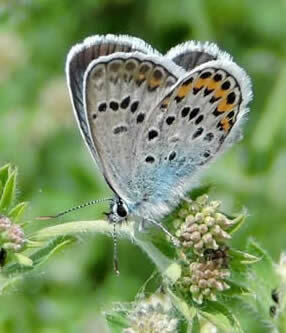 In the Peloponnese, we have a retrospective find of a recently 'split' butterfly species. The Eastern Knapweed Fritillary, also known as Jerusalem Fritillary (on Wikipedia here), is now added to the list from our holiday in April/May 2012. 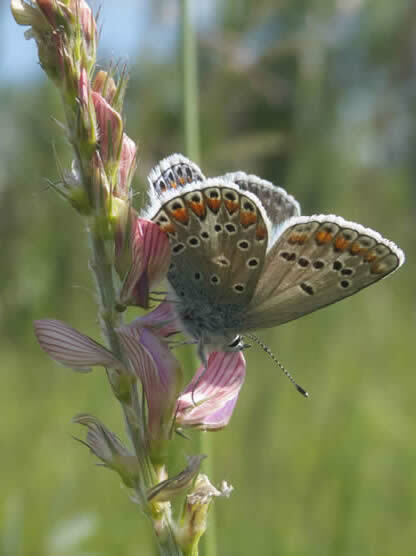 Lazaros Pamperis, author of the Butterflies of Greece, queried a fritillary listed in our online holiday report. Happily Helen Crowder had photos, which Lazaros has identified as this newly named species Melitaea ornata (= M. telona), which is absent from most butterfly books. Photo: Eastern Knapweed Fritillary on a knapweed endemic to Greece, Centaurea raphanina. Mediterranean gull photos from suburban Thorpe St Andrew, Norwich, January 2015, here on Facebook. Click on the red writing to see the Thorpe Marshes wildlife report for 2014. Also there's a new gallery of photos of dragonflies and damselflies of NWT Thorpe Marshes on Facebook here.